EVOline One, Always close by, firm grip and space savings. 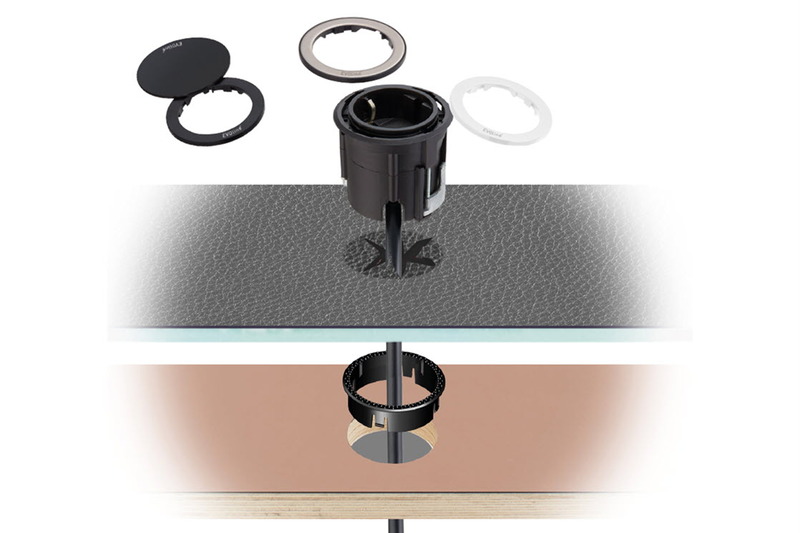 The new EVOline One fastening system, for which a patent has been applied, lasts from a material thickness of 9 mm. There is no upper limit. Even with infinitely thick material, the One stays where it belongs. The optional ring prevents the padding from slipping. The spikes of the ring hold cotton wool, leather or textile firmly against the EVOline One. Less is more, sometimes it just has to be a little less. The flexible cable entry guarantees a minimum installation depth of only 50 mm and an installation diameter of 54 mm at the same time. Whether with stainless steel inlay or printed plastic surface. The aperture ring and the 360° rotatable cover can be printed with corporate colors or even with graphics.